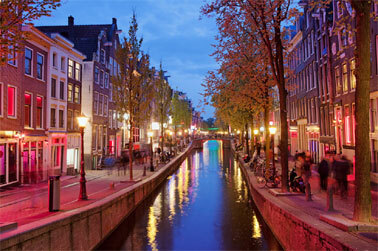 The bars of Amsterdam strike the imagination with its variety and assortment. Here you can find the list of bars, that will not leave anyone indifferent. 1. 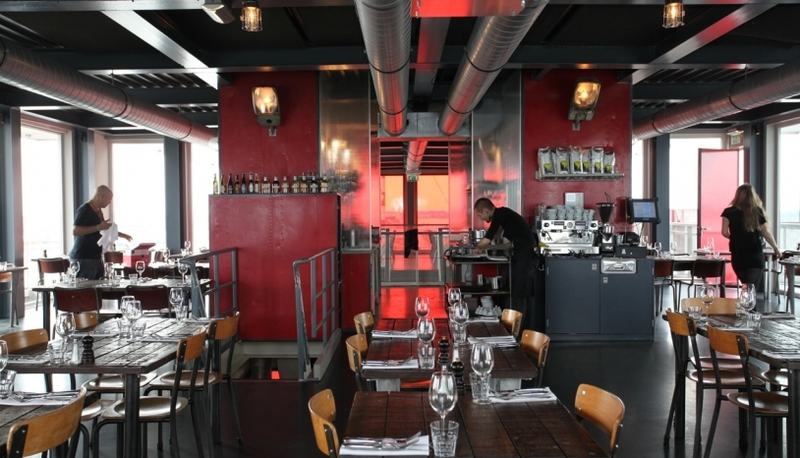 The bar-restaurant REM Eiland is located above the river, in the building, which resembles a drill tower. The visitors can sit on the terrace or in the bar, on the former helipad on the roof of the building. Earlier this place was the ‘pirate’ costal television and redio station. 2. Another interesting place in Amsterdam is Pont 13. The ancient 1927 ship was converted into a bar and restaurant, where the visitors can taste Mediterranean cuisine, Italian snacks and sea food. 3. The name of the bar Arendsnest is translated as ‘an eagle airie’. There you can taste 30 taps of draught beer and over 100 taps of bottled beer, from traditional ones to the most unusual ( cherry, chocolate, caramel ). The minimum cost for a glass of beer is 3 euros. 4. Another original place to visit is the Westergasterras bar. In the past it was a gas house. The windows of the large bar terrace overlook the dam and the pond. 5. At the bar Hiding in Plain Sight you get into the atmosphere of the twenties of the last century. It offers a choice of a wide range of cocktails. The average price for a cocktail is 15 euros. 6. The Wynand Fockink is placed in the old distillery. In Amsterdam you will not find the other place, that offers such a wide range of liqueurs. It also serves jenever - the traditional Dutch drink, made of different berries. The average price for a bottle of liquor is 11 euros. 7. The Brouwerij 't IJ Bar is located in the brewery with the same name. The bar offers a good selection of beers, light snacks and drinks. It has an outdoor terrace, overlooking the old mill. A glass of beer costs 3 - 5 euros in this place. The Brouwerij 't IJ is the famous brewery in Amsterdam. Here you can also taste a variety of beers by ordering a 30-minute tour, or by visiting the tasting room on your own, where the rich collection of alcoholic beverages is presented. 8. The In de Wildeman bar is very popular among the citizens. It is situated in the factory building. Here you can try 18 taps of draught beer and 250 taps of bottled beer from the Netherlands, Belgium, England and Germany. The average price for a glass of beer is 4 euros. 9. The SkyLounge bar is situated in the Doubletree By Hilton Centraal Station hotel, on the 11th floor. Glass walls allow to observe the wonderful panorama of Amsterdam. Visitors can also enjoy fine drinks in the open air on the SkyTerrace. 10. The bar Door 74 is located not far from Rembrandt Square. The main feature of this bar is that not everyone is able to get there. There is no sign board, and only people, who knows the password can enter. You can get the password, if you leave a request on the phone or send a message to the number of the bar. The cocktails menu is regularly updated. There is also a drink of the day with unpredictable ingredients, devoted to unusual themes.